← We interrupt this broadcast. . . .
Come to the South West and visit with your mamma. Better yet, get here a few days earlier, then we can all go to Oregon to see our new baby girl – Leighton Elizabeth. We leave for Portland March 27th and we’ll return to Sun Lakes, AZ April 2nd. Did you recognize the tree, Mom? It’s the one just inside Fred & Georgie’s yard. The sun’s light shining on it was so unusual. Have fun in Oregon!!! Lovely poem. No need for verbosity when YOU can say so much in so few words. P.S. : You can come see us; it’s lovely now–72 F and very low humidity (plus we’re here for another year). Thank you, Andy. And thanks for the invite – it’s mighty tempting! We have a lot of palm trees around here. But the tropic sun can be a lil’ crazy at times. Simple, sweet poem, btw. There are something about palm trees that always give me a thrill – probably because I know that they exist where it is warm. I’m glad you like my little poem. Thank you! Mary – you folks are getting way too much snow. We had a storm Thursday night into Friday that was the worst of the season and dropped 3-6 inches across the area. Normally, we have more snow and thus I begin to think like you of warm, sunny places, and wearing shorts (again) outside. Though, we are headed for Florida and the middle keys for Spring Break, I hope to blog and post fromt he shoreline… take care and keep warm thoughts, this is the price we pay for wonderful springtime weather! Oh, Clay, lucky you! Have fun in Florida and take lots of pictures of palm trees (and other things). I’ve always wanted to go to the Keys, but so far haven’t ever made it past Miami (once). Not crazy, Jen, just ‘different’. 😉 I actually know a few other people who enjoy cold, brisk weather. I’m kind of a hermit when it gets cold. Ah….amen. I love this painting. So calming. I want to frame that and hang it in my kitchen. I want palm trees. And cactus too. 😉 Mary, I don’t know if you do blog hops, but I have one on Mondays (it’s up now) and I would love you to bring your writing over there. I want to fill it with my favorite writers. Hope you’ll join us there. Thank you, Linda. You’re so sweet. I’d love to join your blog hop, if I can figure out how to do it – talk about being tech-challenged. 😉 Happy Monday, right back at you. 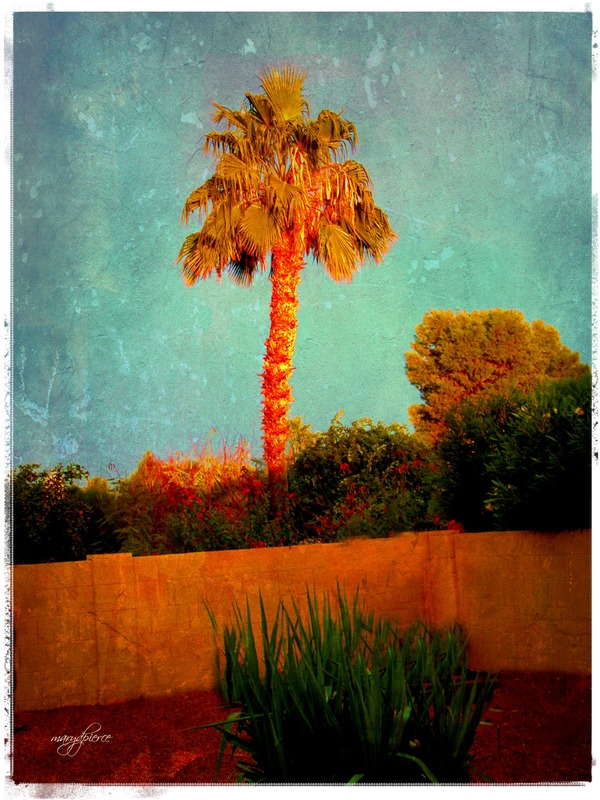 Let’s keep thinking palm trees and cacti until warm weather hits the east coast!